We like to categorize other people by applying labels to them. Liberal versus conservative, rich versus poor, informed versus ignorant, interesting versus boring, popular versus nerdy, the list of possible categories is inexhaustible. Politicians use this tendency to categorize to their benefit by trying to portray themselves in a popular category while casting their opponent as the opposite. There is danger in carrying this drive to categorize people into the church. In the church there are to be no such categories; we are all equal when we come to the Cross of Jesus Christ. Yet in some churches, people are categorized and labeled. People can be labeled as troublemakers, critics, backsliders, emotionally unstable, emotionally repressed, etc. Positive labels such as leader, teacher and supporter can also be applied. 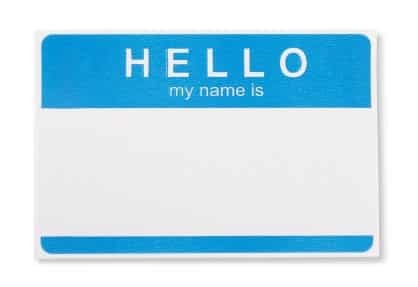 Applying labels to people becomes a problem when it prevents them from growing into their God-given ministry potential. This is especially true when the labels are applied based on erroneous or incomplete information. Stephen Covey relates the story of the boys on the subway to illustrate how easy it is to misunderstand another person’s situation and actions. One day on the subway, while quietly reading a book, Stephen was interrupted by two wild children that got on with their father at a subway stop. The children were out of control, jumping up and down, running loudly through the subway car. I have seen people who have made suggestions get labeled as troublemakers. I have seen people who identify problems get accused of being divisive. On the flip side, I have seen those who are successful in business get tagged as church leaders despite their spiritual immaturity. Look at the Disciples that Jesus picked. Among them was a terrorist, a traitor, two brothers with anger issues, a fisherman with a tendency to say the wrong thing and a thief. The man that wrote much of the New Testament was a murderer. Jesus trusted this rag tag bunch to found his Church, people we would likely write off as being of little help. The point is that if someone is causing a problem in the church, that problem should be addressed without labeling the person. God deals with our sin without labeling us, who are we to refuse to do this for others? I tend to hang with people who to reformed theology, which emphasizes the sovereignty of God over his creation. This should not be too surprising given that I attend a PCA church. But one of the struggles that I have with such people is that sometimes truth is given in a way that is hardly helpful.